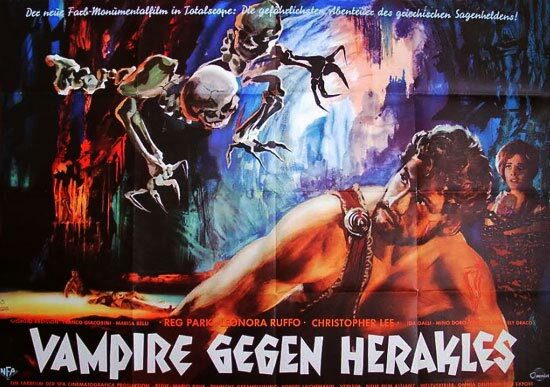 German poster for HERCULES IN THE HAUNTED WORLD. One of the best posters I've even seen. Perfectly captures the mood of the film.